When it comes to the people who are encouraged to take first aid classes and training, one of the most neglected parts of the demographic is students, especially those who are in college or those who have already moved out of their parents’ or guardians’ houses. This is because many parents think that students should only focus on their classes and that their safety is the responsibility of the faculty or the supervisors in dormitories and other housing facilities. What they do not realize is that taking these classes, especially Halifax first aid classes has become more important and relevant than ever. Here are some of the reasons why. In a descriptive study that was conducted by professionals at the Halifax Community College which aims to determine the level of emergency preparedness of students, it was revealed that students are not equipped with the right knowledge and skills to appropriately handle emergency situations. One cause of this problem is the fact that students do not take the time to learn these skills even if they are given to opportunity to do so. In this study, students were asked if they watched a YouTube video that was uploaded by Halifax college administrators about emergency preparedness. 51% or more than half of the participants in the study admitted that they did not watch the video despite having the time and resources to do so while 5% cannot recall if they have already watched the video. For the second part of the study, students were given a set of questions which aims to measure their first aid knowledge. When it comes to questions regarding saving themselves such as the right actions to take in case of a fire or if the campus was hit by a natural disaster, more than 80% of participants answered these questions correctly. However, when it comes to questions on how to help a fellow handicapped student and other people in emergency situations, only 33% were able to answer correctly. These are some of the reasons why parents should invest on Halifax first aid training for their children especially those who are already living independently. 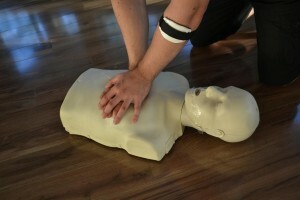 This ensures that students gain interest when it comes to applying right first aid techniques not only to themselves but also to other whenever the situation calls for it.